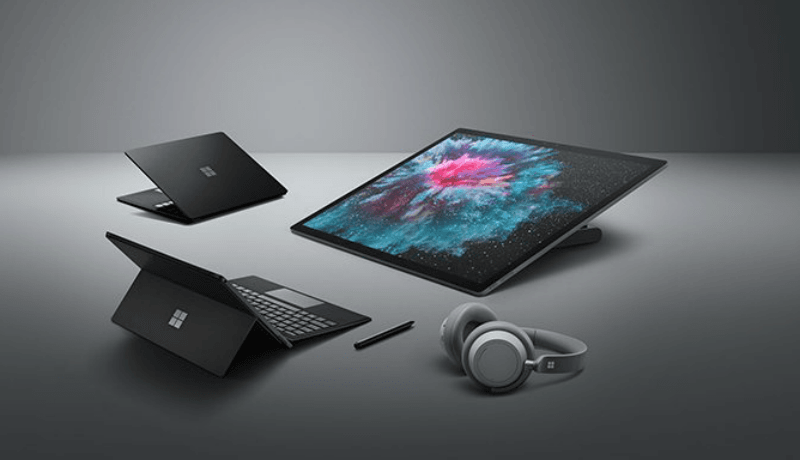 Microsoft, at an event in New York, refreshed its Surface line of products with new additions such as Surface Pro 6, Surface Laptop 2 and Surface Studio 2. At the same time, the Redmond-based company announced first-ever Surface Headphones with adjustable noise cancellation and hands-free Cortona which is the company’s digital assistant aimed at Google Assistant and Apple’ Siri. Furthermore, Microsoft also revealed its new innovations in Windows and Office 365. It also confirmed that the Windows 10 October update has started rolling out with a slew of new features. Read on to know more about what Microsoft announced yesterday. Microsoft confirmed the Surface Pro 6 would start at $899 and Surface Laptop 2 would begin from $999. The devices which are currently available for pre-order would be available in the US from October 16. The Surface Headphones are priced at $349 and they will be available later in 2018, while the Surface Studio 2 will be available starting at $3,499. The Surface Headphones has 13 levels of ambient noise control. There are two beam-forming microphones on each ear cup- eight microphones in total helping the user focus on the sounds he or she wants to capture. “You can easily adjust volume and noise cancellation levels with new, intuitive on-ear dials. While Surface Headphones are optimised for Surface devices, they will pair with any Bluetooth-enabled device,” Microsoft said in a statement, according to IANS. The Microsoft Surface Pro 6 is equipped with latest eighth generation Intel Quad Core processor. The device is claimed to be 67% faster than the fifth generation Surface Pro and has been redesigned to pack in more power but still keeps the portability, versatility and all-day battery. “The Surface Pro 6 features the ‘PixelSense Touch Display’ which helps create the best work with Office 365 on Windows and features like intelligent inking,” said the company. Moving onto the Surface Studio 2, it is built for creators who need vibrancy, high-graphics performance and fast processing, delivering next-generation Pascal graphics and 50% faster GPU. The new Surface Studio is 38% brighter, with 22% more contrast. Lastly, we have the Surface Laptop 2, which is said to be 85% faster than the original Surface Laptop and is powered by the new quad-core eighth generation Intel processor. The Surface Laptop 2 offers a premium design, PixelSense Touch Display, and best-in-class keyboard and trackpad, without sacrificing the 14.5 hours of battery life.